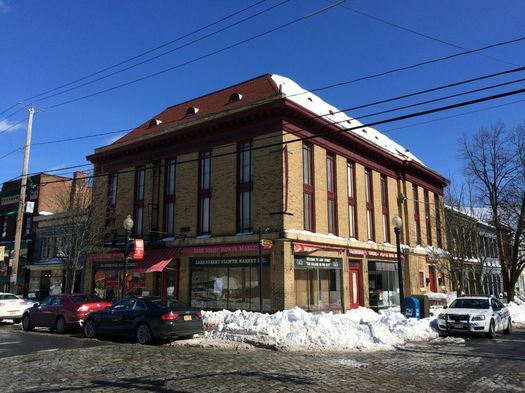 When the EBA building went up for auction last month, Justin Miller was part of a group that entered a bid of almost half a million dollars for the Lark Street landmark. And they won. Then it sunk in what they'd done. And some panic set in. They had just put up half a million dollars to buy a century-old theater building. Feeling the need to walk, Miller headed over to McGeary's in downtown Albany. "Tess, I've got to talk to you," he said he told Tess Collins, the pub's proprietor and local mainstay, when he arrived. He had a glass of water. They talked. He started to feel better. "She's always a steady hand." And this week, standing in the second-floor theater space at Lark and Hudson, he was sounding excited and optimistic about what's next for the building. 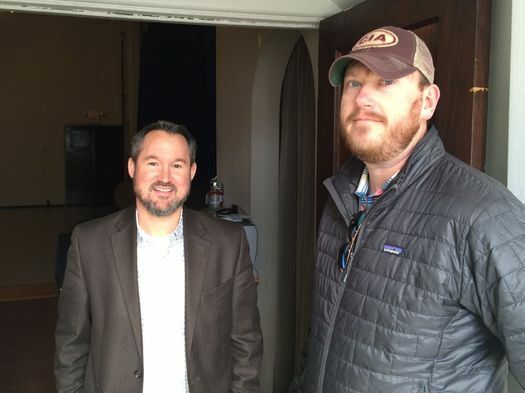 Justin Miller, an attorney, and his wife, Jennifer, have teamed up with Jeff Buell of Sequence Development -- a longtime friend -- to buy the EBA building. The Millers started on this path while searching for studio space for Jennifer, a teacher in the Albany school district and a yoga instructor. Along the way they started talking about maybe owning an event venue of some sort. Someday. Buell and Sequence have been working on a string of mixed-use projects in Troy and Schenectady. He said he'd been looking for something in Albany, checked out a bunch of buildings, but nothing clicked. 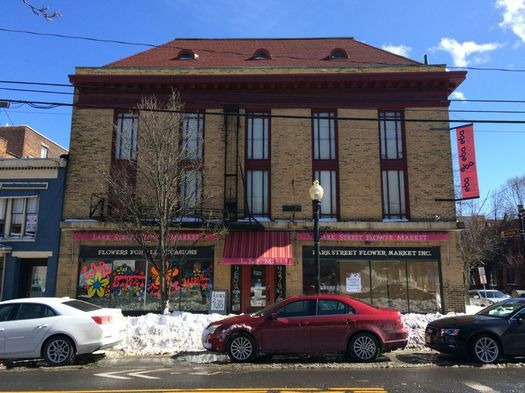 Then Maude Baum, founder of EBA and the owner of the building for four decades, put the dance company's space up for auction. Miller and Buell talked it over. Maybe this could work. 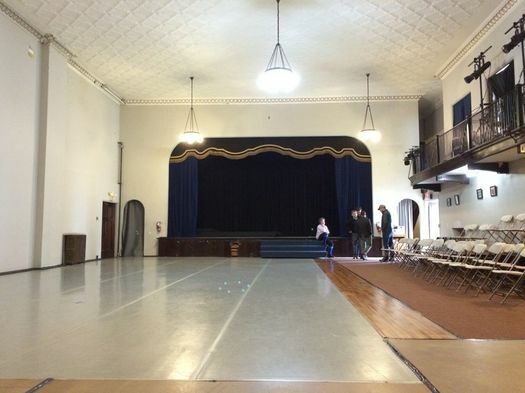 Their winning bid for the building was $497,000, plus a 12-percent auction fee. They hope to close in May. Miller and Buell said Thursday they don't have an exact plan for the building, yet. But they envision using the theater space there as some sort of multi-use venue eventually, something that would draw visitors who could also patronize some of the restaurants and bars and other businesses along the commercial strip. "We want to make sure this building is a beacon of light on Lark Street for a very long time," said Buell. "We think there's an opportunity to fit into the Lark Street vibe." Toward that end, they've been meeting with neighborhood groups to talk over their plans. They were at the Hudson/Park Neighborhood Association this week, and have more appearances scheduled. "We want to listen, to start, and hear what the community wants," said Miller. They figure to invest another $1 million in upgrades for the building, including sprinklers -- maybe an elevator, too. Buell said the allowed capacity of the theater space is currently 200 people, but with the upgrades that number should grow. But that's down the road a bit. The first change will be conversion of space for the yoga studio. And the Lark Street Flower Market? Buell said they're very happy to have the shop as a tenant. Buell said the theater could easily be carved up into living space. And considering the rents in the neighborhood, it wouldn't be a bad idea. "Apartments are good investments," he said, "but sometimes you have to invest in your soul." Maude Baum interjected: "If they put apartments in here it would have ripped my heart out." "Also, I'm afraid of Maude," Buell followed up as the group let out a laugh. Both Buell and Miller had a lot of praise for Baum's stewardship of the building and the role her org has played in the neighborhood. They're hoping EBA will hold some events there in the future. "We're cognizant of the legacy," said Justin Miller. "We don't take that for granted." I'd LOVE to see classes offered-- dance, exercise, cooking, languages, art, etc.! Do they have a parking lot? Good luck! What's going to happen to EBA though? Waste of space. Tear it down and build a 20 story high rise. That's what this area needs to grow and advance into 21st century. First 2 floors can be much needed mixed commercial. Man, I really hope this is the medium-sized venue Lark Street always needed. Throw concerts and events in Center Square, dinner before the show, drinks afterwards. Everyone wins. Please, oh please lets make this the next good venue Albany desperately needs. There is a parking a lot near there for $5 and metered parking on State street a few blocks away that is free after 5pm/6pm. Everyone please shut up about parking. How awesome- very excited to hear about these initial ideas to keep this building a venue. Good luck! The idea of a large theater space on Lark is interesting. But does this address a need of the neighborhood? Are we lacking for theater space? As someone mentioned, where would any business for a theater park in this neighborhood? It's possible that the NYS Hamilton St/Swan St. Lot has potential for a large public parking garage. As "Deisel" said above, Albany needs to consider housing for the 21st century. We need modern, quality housing stock to boost the tax base. Center Square is a desirable neighborhood. An attractive apartment building with underground parking would quickly fill up. The area needs more people and more taxpayers to be viable. Much of the rental market takes advantage of the captive student market, as buildings in the student ghetto continue to deteriorate. Surprised and thrilled it's not the obvious residential conversion. It's hard to do a performance space this size on a for-profit basis, so here's hoping commercial rents can subsidize it adequately. "Tear it down and build a 20 story high rise"? Are you kidding me?? That would be completely incompatible with Lark Street's historic character. Geez. I'm actually relieved that the building was purchased by a local developer with a good reputation, and by locals who I think will do right by the neighborhood. I vote for opening another non-profit grassroots organization that represents the interests of oppressed with an all inclusive view toward diversity and establishing sustainable practices fighting the one percent while affording equal protection while deconstructing the post industrial post colonial era of our past yet providing locally sourced foods....organically of course....Ps also need three separate but equal bathrooms! Did I miss anything??? To see that Diesel's blatant trolling actually duped someone proves that there's a huge range of ideas on what Lark Street is and should become. Basically, I'm just glad the building is in good hands. Sequence Development did such a great job with the Slidin' Dirty space in Troy, and the progress on the three State St buildings looks great so far. I could see the space easily becoming something similar to Takk House... Maybe even host to indoor markets similar to the Half Moon Market? I've always admired that building/space! Why not space to display artwork? It would make a great spot for antiquing or craftsmen. It could even work as a local grocery / produce site? It would be a great space for apartments ! If they razed the building and slowly but steadily bought other buildings surrounding it and then razed those, they could create a massive parking lot. The lot could be state of the art-- with elegant blacktop, reflective paint lines, and even a tasteful chain link fence. It would be a perfect spot to meet up, shoot the breeze with fellow motorists, or even commit some petty crimes. Most lots in the Capital Region are small and don't offer the kind of anonymity that superstore or amusement park lots do. We need to get real, get with the times, and build a massive parking lot in the middle of an historic neighborhood. But most important, it could be a perfect place to park your car if you're used to enduring the oppression of walking 1-2 blocks from a paid lot or Washington Park. That sort of human rights abuse shouldn't occur in 21st century Albany. I think these people should get some of the public money we're currently squandering on public transportation to make sure that I can park my car somewhere when I visit one of the non-parking spot locations that I would TOTALLY patronize if it were surrounded by a vast hellscape of asphalt. Glad to be a part of the discussions here. As sick of seeing the word "parking" as some are it is a definite problem for almost any use of the building.